If you’re like me, the thought of transitioning out everything in the home to natural, non-toxic products is overwhelming and, let’s be honest, probably won’t happen 100%. I’m not saying I won’t try, but it’s a slow process. A couple of years ago I took small steps to try new products and transition as I saw fit. It definitely doesn’t happen overnight, I may or may not have thrown away full bottles or containers of things because they were just crap, and everything has a price tag, therefore, it gets costly when you’re in the thick of the clean up. In my discovery process, I learned that women on average can consume around 500 chemicals A.DAY. without really knowing it. The EU has banned about 1300 chemicals that are illegal for cosmetic brands to use. The US? Like, 11. The FDA doesn’t classify cosmetics as being food/drug therefore, it’s a wild wild west out there for US companies. Cool, cool….. I have found some trusty products that I love using and sharing and feel good about putting my stamp of approval on. From household items to beauty and health, these product have been tried and are trusted by me and my family. I also love hearing from the community! Please feel free to share your favorite non-toxic products with me! Most of you already know I’m a huge fan of Primally Pure. 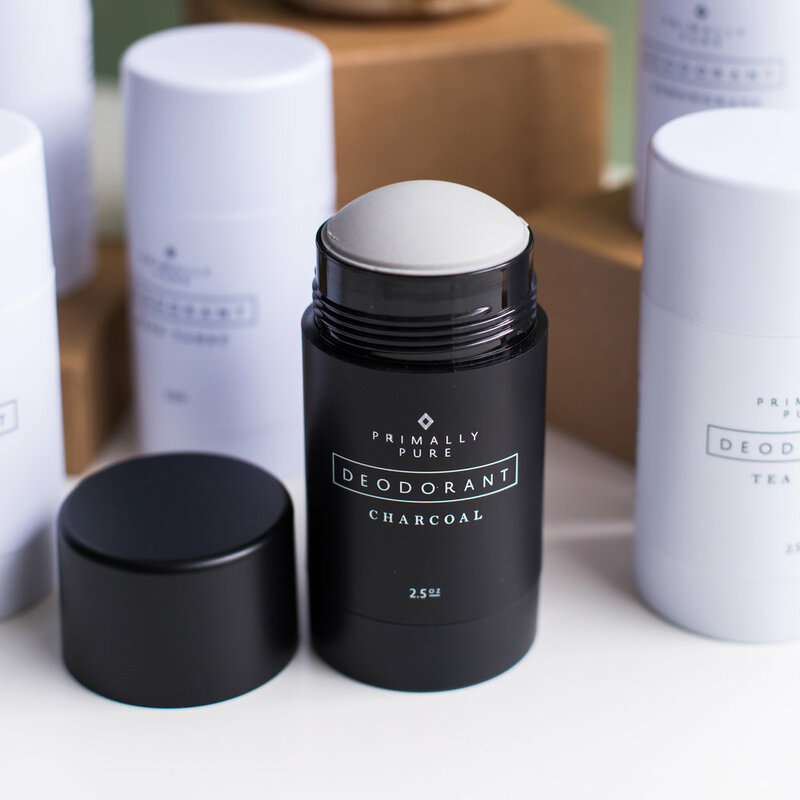 From their natural deodorant and whipped body butters, to my wrinkle killer Fancy Face Serum, Primally Pure is made up of natural organic and fair trade ingredients such as essential oils, grass-fed tallow, charcoal, and butters safe enough to eat! Which you might even want to after you win a whiff of the almond + vanilla (swoon). I use the Everything Spray for literally everything. Body mist as a refresher, facial toner, and to heal minor scratches or wounds. With ingredients such as witch hazel, tea tree, and aloe juice it has some major soothing powers! Founder, Brynn, managed a successful home cleaning business for several years and specialized in non-toxic cleaning products for her customers. 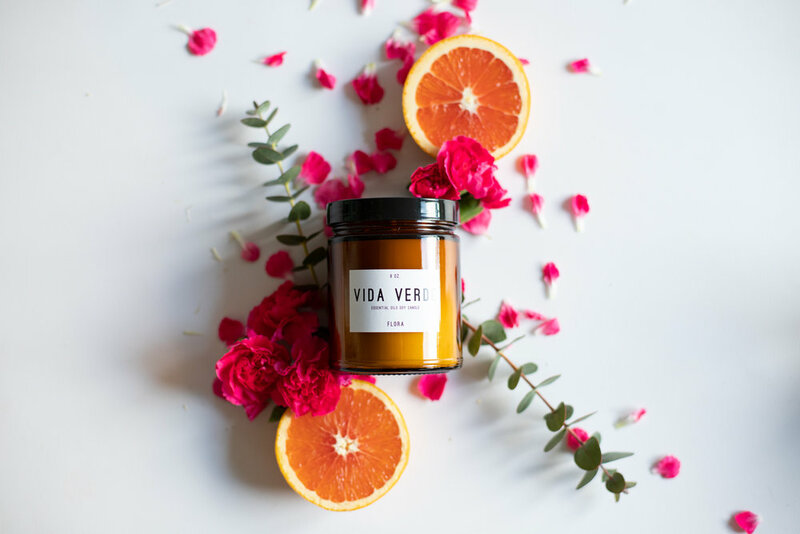 Her creations were so successful she branched to create Vida Verde Home and is enjoying sharing her knowledge of high quality clean home products with her community! 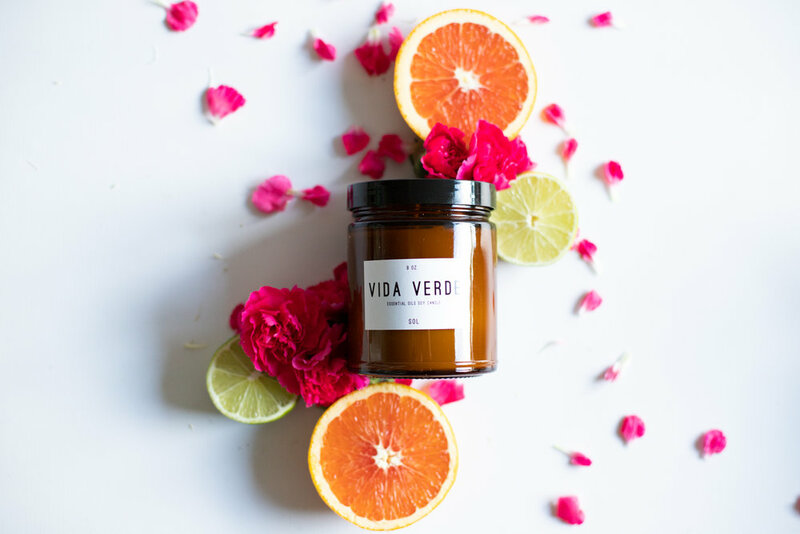 BONUS: Vida Verde Home offers a monthly subscription so you never run out of your favorite products! Vida Verde Home is local to my neck of the woods in northern WA. I found this natural home cleanser and candle company through the magic of IG. 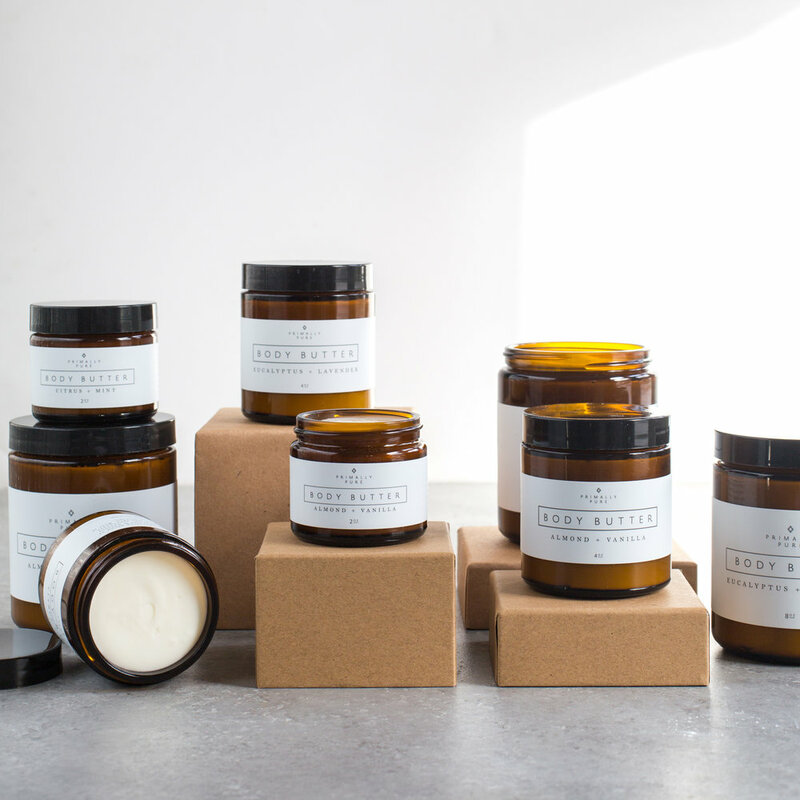 The 100% soy wax candles are fragrance, dye, lead, and sulfate free and poured into beautiful amber glass jars. The scents are absolutely invigorating with essential oils that suit any household and nose. The natural infused cleansers make a chic accessory to your kitchen counter in their amber glass bottle and are infused with rosemary vinegar, essential oils, and natures cleaning and disinfecting powers! The “Purposed” works beautifully on my troublesome black granite counter tops. 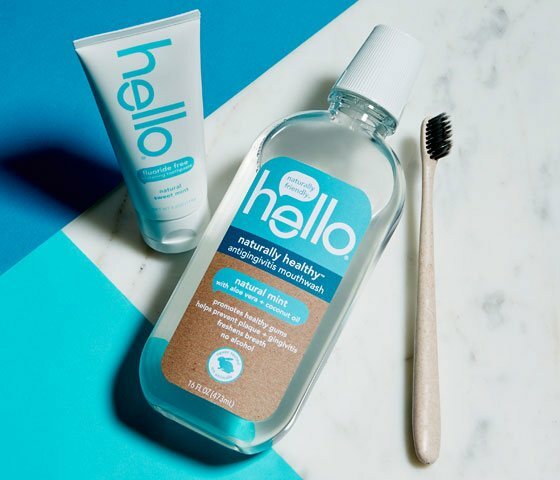 My first experience with Hello was the charcoal toothpaste which helps to create pearly whites with activated charcoal’s natural whitening + detoxifying power, plus coconut oil for a moisturizing and soothing finish. I did make a black mess of my bathroom sink, but the thorough cleaning and whiter smile made up for it. I surprisingly was loving it and my kids got a good laugh at me every night when I brushed with a charcoal filled mouth. So much so that they asked to use it. But fortunately for the littles, Hello also makes fun flavored toothpastes in watermelon and apple. My teenager is also loving the watermelon mouth wash! My nighttime self-care routine took a huge turn for the better once I laid my tired eyes on Moonlit Skincare. The lavender infused oil in Midnight Shift is designed to send you off to sleep + repair, plump, and soothe your skin during your resting hours. With ingredients like jojoba, safflower, and sunflower oil, papaya, ginseng, green tea, and vitamin E, Midnight Shift is by far my favorite of the Moonlit Skincare collection. Learn more HERE for my post about how it’s helped me sleep! I also have enjoyed using Power Down Powder for spot treatment or as an all-over evening mask. It is powered by crushed moringa leaf (detoxifies, fights acne), white kaolin clay (reduces shine and clears pores), aloe vera powder (softens skin), and dried cucumber peel powder (soothes skin + reduces redness). BONUS: Cora has a subscription box! Create your period profile for your monthly shipment and never be out of product when that special day comes each month! Bonus Bonus: It comes with a stylish black storage box + vegan black leather clutch. I mean….. who knew your period could be so chic? I honestly didn’t put too much attention on what feminine products I had been using all of my ‘adult’ life until recently when I read up on the dangers of non-organic cotton tampons. And here I am raising 2 girls (one of which is near approaching this phase of life) and I care more about what they’re putting in their bodies than my own? Hmm, something’s not right here. When I read the Cora difference I immediately knew this was the change I wanted to make. Non-GMO cotton, no pesticides, no chemicals or chlorine bleach used to treat the cotton, GOTS Certified, Certified B Corp, better for our farmers and better for our environment. Plus, they are a company based on giving back, educating their community, and normalizing periods! For every soap purchased, Raw Sugar’s program “Raw Giving” provides a bar of soap to someone in need by working with their exclusive partner and humanitarian aid organization Direct Relief. 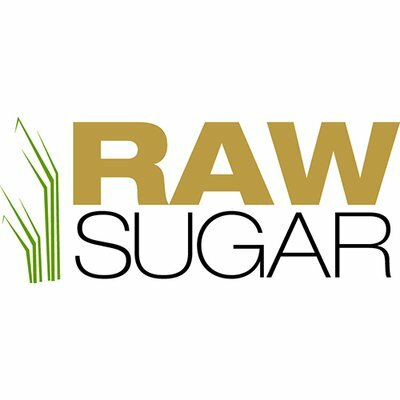 I picked up Raw Sugar at Target a couple years ago basically because the packaging was so appealing and it seemed legit as far as use of chemical free ingredient and I appreciated their giving back program. Here I am 2 years later still lovin’ it. With scents like Lemon Sugar, Raw Coconut Mango, Vanilla Bean Sugar, and Green Tea Cucumber Aloe….. it’s like Cali living in my shower erry day. I’d love to hear from you if you have a make-up line that you swear by. Good coverage, doesn’t set in to wrinkles, keeps skin moisturized, and great pigment. Comment below! Share this post with friends and family and help spread the word of non-toxic products and support small businesses!